The link above is to the playtest google doc I have been working from. I think there is enough here for playtest. A World War between Bears and Man set in a fantasy desert wasteland. We, the BEARS and our kin, have traveled from OSOLAT to escape a war, only to find another in KINGSLAND. KINGLSLAND is our new home, but this new world is dangerous. We live in a state of constant war against MAN, and their insatiable hunger. The BEARS of Kingsland are new to this land, but not new to war. BEARS are fierce fighters, known for their strength and prowess in combat. The SPIRES are dangerous rocky columns covering the plateau of land to the north. HUMANS live in the cracks of the SPIRES. The father BEARS foretold our arrival and our struggle with the MAN and BEAST, but we had no other place to run. MAGIC is unreliable and has only just been discovered by the BEARS. MAN mastered MAGIC long ago. BEARS also have great powers. It is called PSI. PSI and MAGIC are not compatible. There are 2 kinds of humans, MEN and BEASTS. Men are the leaders and control MAGIC. Beasts are the larger, stronger and mutated version of man. BEARS number in the hundreds, maybe a thousand at most. They are the last of their kind. Fighting for survival against an insatiable enemy, MAN. There is only one thing MAN fears, GRIFFONS. COMMENTS AND SUGGESTIONS ARE WELCOME! The planet is named SALT… You have found a crystal spear that belonged to the great Magnus Skycaller. You discover the legend of the Knights of SALT, and find Magnus himself is one of them! They were an ancient group of heroes that attempted to save the planet and failed, thus was created the desert wasteland called Kingsland. The Knights of SALT are now called to action again to save Kingsland and all of SALT before the same fate happens again. But what happened, and why did they all die? You have been chosen to find out why and how. 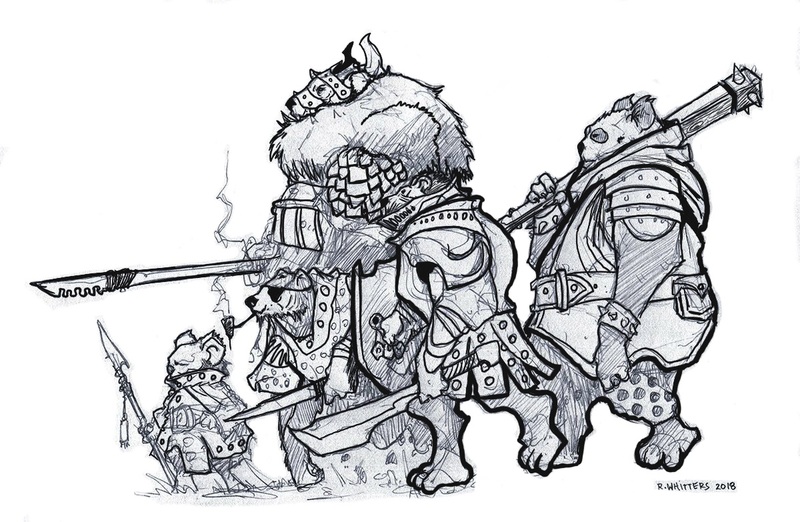 The crystal weapons hold the BEAR souls of the Knights of Salt. When the time is right, the knights soul will take over the weapon wielders body and engage in an epic battle to save the planet. But first you have to find the weapons… they have been lost for decades.